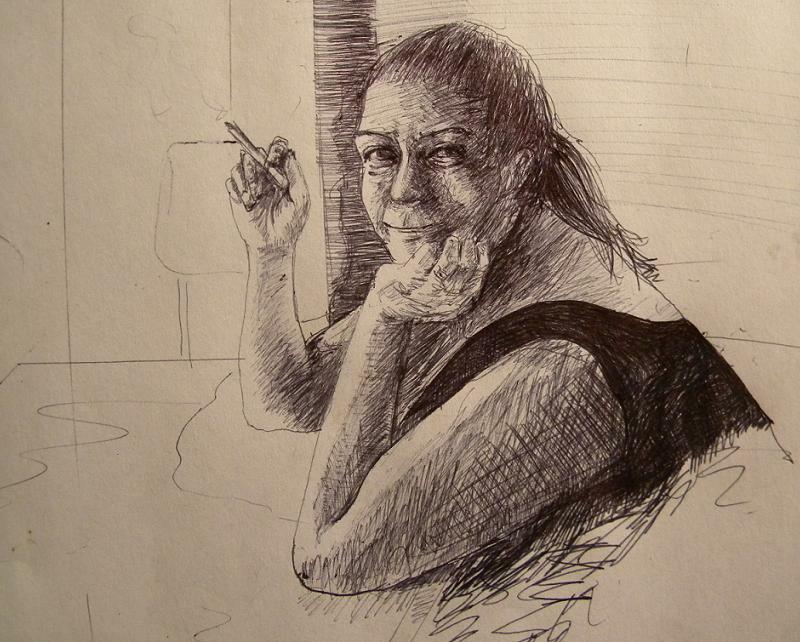 A Sketch of my Mom. 11" x 14". Ballpoint pen on paper. 2009.